Decrease of plasma concentration of a drug after its administration by intravenous route as a bolus, at 3 different doses. 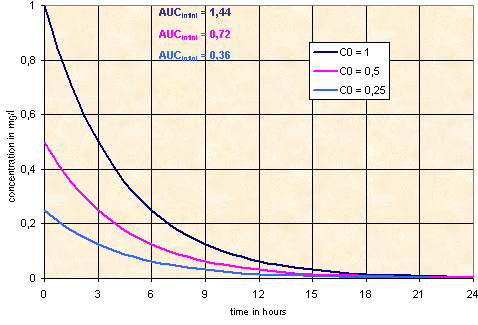 Initial concentration, C0, and area under curve, AUC, are proportional to the dose administered. T1/2 of the drug = 3 hours.